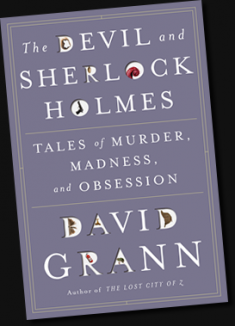 David Grann’s new book, The Devil and Sherlock Holmes: Tales of Murder, Madness, and Obsession, is a gripping work of non-fiction in which Grann sets out to solve twelve real-life mysteries. The book is set around the globe, with characters ranging from a bank robber in his 70s to a scientist looking for giant squid to members of the Aryan Brotherhood. Marc sat down with David Grann to discuss some of the most gripping stories from the book.